Despite being an avid fiction reader, there might occasionally be a nonfiction book that catches my eye, usually on a non-conventional topic as opposed to yet another book on a well-known political figure or historical event. 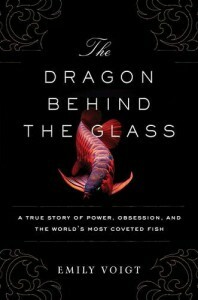 When I walked past The Dragon Behind the Glass: A True Story of Power, Obsession, and the World’s Most Coveted Fish in a bookstore, it was its simple but promising cover that attracted my attention, instantly leading to a question: what is the world’s most coveted fish? Knowing next to nothing about the aquarium hobby, never having owned a fish myself, the promise of intrigue and adventure the byline elicited was quite enticing. The Dragon Behind the Glass is a perfect example of nonfiction that is capable of balancing the informative with the narrative, spinning a delightful narrative that conveys the sense of adventure without emphasizing the fact that you, the reader, are sitting in the comfort of a chair as opposed to trudging through the Amazon like Voigt. The book follows the rise to popularity of the arowana fish, coveted in Asia as a symbol of luck, particularly the Super Red variety which is sought by the Chinese. Voigt presents both the scientific backstory of the fish and parallels it directly with her own travels around the world, her correspondences with famous ichthyologists, as well as some fascinating and well-integrated digressions about other wildlife and the history of the aquarium hobby as a whole. 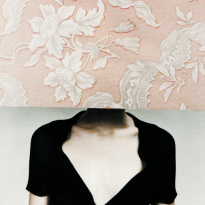 (Chapter 1— The Pet Detective, p. 15). It’s a soft side to journalism that I haven’t seen yet when it comes to nonfiction, particularly books on biology, which tend to focus much more on assembling and regurgitating facts that, however fascinating, nonetheless remain facts. Voigt instead gives science a more human touch, reminding readers that a journalist, too, has emotions and can be swayed in a particular direction. In fact, her own voice is so dominant in the book that it tiptoes the line between being both autobiographical and historical, a reminder that science doesn’t merely exist in the past that textbooks have immortalized. Rather, it continues to exist and to be made right this very second, both by the scientists who make the discoveries, the journalists who document them, and the masses who respond to these new findings. I didn’t expect as much tenderness from The Dragon Behind the Glass as I ended up finding, but it was a discovery that was both pleasant and welcome. It was an example of art and science coexisting within the pages of one book, emotions and rational thinking woven into one fascinating narrative that becomes not so much focused on the fish itself as on how humans interact with nature, and the lessons we should be taking out of it in our correct society.